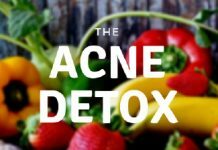 There are a ton of choices when it comes to finding products that promise to get rid of your acne. 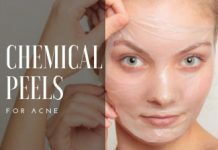 They all employ dozens of different ingredients, but there are two names that stand out the most: salicylic acid and benzoyl peroxide. 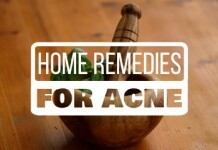 Each of them is a proven winner against acne, both in the lab and in practice. 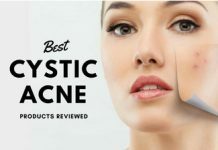 However, to ensure the best outcome while also avoiding side-effects, you must understand the fundamental difference between these two key anti-acne ingredients, why they are effective, and when is the best and worst time to use them against your breakouts. This post will cover all these aspects. 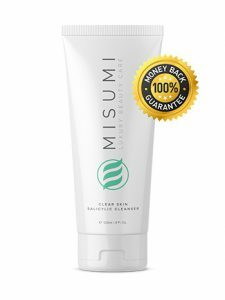 Misumi’s Clear Skin Salicylic Cleanser easily beats tough competitors including big league players like Murad and Proactiv. 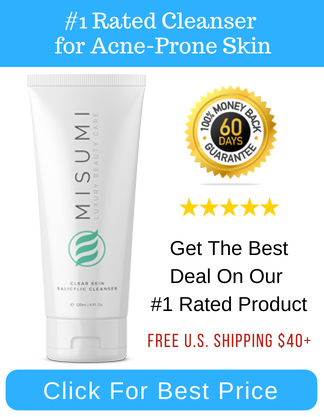 They’ve come up with an extraordinary formula that combines Salicylic Acid, Glycolic Acid, and Lactic Acid in a powerful cleanser, providing a synergistic exfoliating experience. The Clear Skin Salicylic Cleanser does exactly what we want in a salicylic product, which is removing impurities and excess oil that clog up the skin. It also shrinks pores, helping to prevent future breakouts. 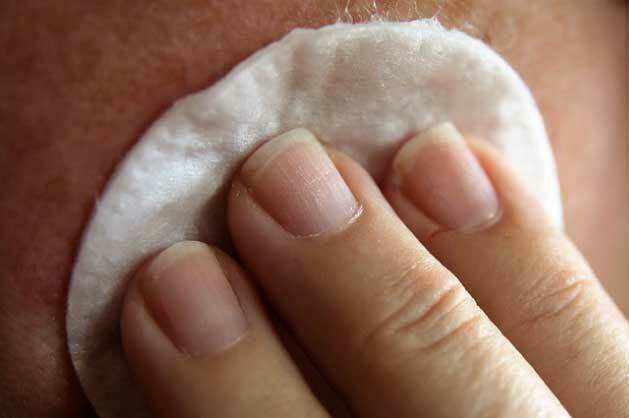 It’ll help to soothe the skin and reduce redness. The Lactic Acid in this formula adds an bonus anti-aging benefit, helping to boost collagen and firm sagging skin. What Makes the Best Acne Treatment? There are three main causes of acne: excess sebum production, bacterial growth, and dead skin cells. Excess sebum along with dead skin cells clog your skin pores. 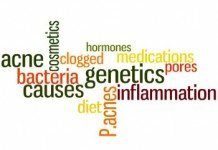 Accompanied by bacterial growth, this can lead to skin inflammation. Eventually, you will see an ugly pimple popping out of your skin. 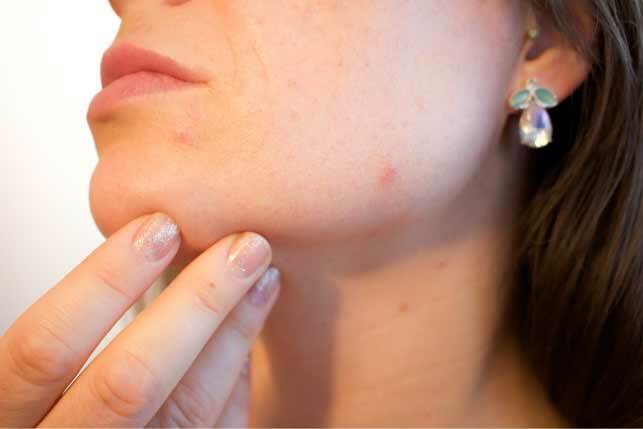 An effective acne treatment fights all of these stages of acne. 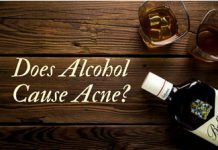 Having this in mind, let’s delve into the detailed and structured comparison of both of these prominent acne treatment medications. According to National Institutes of Health (NIH), salicylic acid is a beta hydroxy acid. It occurs as a natural compound in plants possessing keratolytic (important skin repair function) properties. It also acts as an anti-inflammatory agent and is prominently used as a topical antibacterial agent, thanks to its excellent exfoliation abilities. 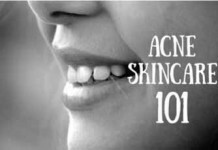 How Does Salicylic Acid Work for Acne? The fundamental property of salicylic acid that helps fighting acne is its ability to break the bond between dead skin cells. This bond, along with excess sebum on the skin, leads to pore clogging. 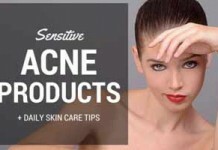 So, it’s important to break it to prevent acne forming on your skin. This ability comes from the acid part of this ingredient that can dissolve some of the intercellular ‘glue’ that holds these dead skin cells together. Moreover, salicylic acid is proven to have skin renewing properties by promoting new cell turnover. Ever wondered why salicylic acid is the favorite ingredient for most prominent acne cleansers and face washes out there? This is mainly because of its ability to penetrate deep within your skin. It is able to exfoliate the surface of your skin as well as clear debris inside the pore, providing you with a clear skin from the inside out. And that’s not all. Salicylic acid can also reduce excess sebum production on your skin, which is an important stage of acne formation. 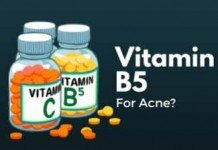 It is one of, if not the most prominent acne treatment medication on the planet. 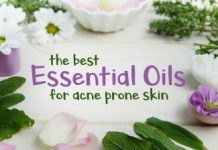 Due to its unique property of releasing oxygen upon decomposition, it is lethal to P.acnes bacteria, one of the biggest culprits behind acne formation. The irritant effect of benzoyl peroxide allows it to increase cell turnover rate, which is pivotal in avoiding clogged skin pores. Because it’s an anti-inflammatory agent, it is also effective against inflammatory acne such as pustules, nodules, and cysts. 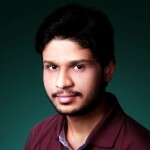 You will find it easily in different concentrations, mainly 2.5, 5 or even 10 percent. 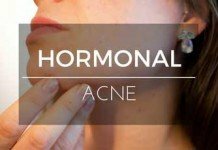 The more severe your acne is, the higher concentration you will need, says Dr. Prystowsky – a board-certified dermatologist based in New York City. It’s always advised to start with lower concentrations of benzoyl peroxide on your skin. This allows you to avoid any excessive redness or irritation. Once you get comfortable with the concentration, you can go for higher ones to get better results in lesser time. 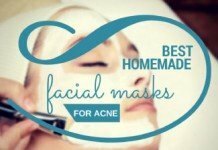 These are some of the properties that make it highly effective against acne. 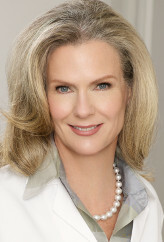 Dr. Prystowsky recommends not using benzoyl peroxide with salicylic acid. 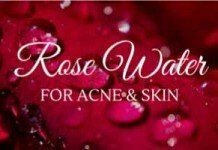 They both are effective on their own, even their combination can prove to be very effective, as proven by the products such as Exposed Skin Care. However, this combination of two strong anti-acne ingredients can get too harsh for some sensitive skin types. So, although the benefits are there, you should be cautious while using benzoyl peroxide and salicylic acid simultaneously if you have sensitive skin. 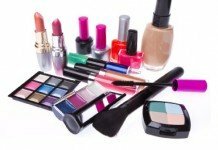 Another ingredient you should stay away when using benzoyl peroxide is Dapsone. On the other hand, retinoids and Adapalene prove to be effective and suitable medications to use in conjunction with benzoyl peroxide, according to Dr. Prystowsky. Skin Irritation that’s not present before the use of this ingredient. Salicylic acid belongs to a family of chemicals known as salicylates. These chemicals are associated with allergies that can cause difficulty in breathing, hives or itching, stomach pain and headaches. Although uncommon, these allergies can also prove to be life threatening if they occur in conjunction with chronic diseases such as asthma. The compound can absorb into the skin, and can enter into the breast milk, eventually affecting the baby. Children are sensitive to salicylates, so doctors usually advice breastfeeding mothers to refrain from salicylic acid use. Children absorb more through their skin than adults do. As they also tend to have lower body masses, this means they will experience larger doses and more adverse side-effects. So, it’s important to be extra cautious when using salicylic acid as a child. There exists a risk of developing Reye’s Syndrome, a fatal disease, due to the sensitivity of salicylates. And anyone under 19 and suffering from chicken pox or flu is strictly advised by doctors not to use salicylic acid due to potential dangers. 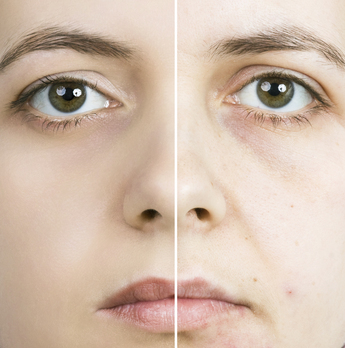 Salicylic acid is capable of interacting with a variety of medications. So, if you’re on a prescription, discuss with your doctor whether it is safe to use salicylic acid products on your skin. You won’t find any effective acne treatment that doesn’t dry out your skin, but benzoyl peroxide is known to cause it most of the time. It’s inevitable to feel dryness on your skin when using this medication. And the higher the concentration, the more dryness you can expect. However, higher concentration can also bring better and faster results. It’s really a tradeoff you need to make. This dryness can be effectively dealt with by using a non-comedogenic moisturizer several times a day. There won’t even be a problem applying the moisturizer directly over benzoyl peroxide product on your skin. But it’s better to consult with your Derm before doing so. 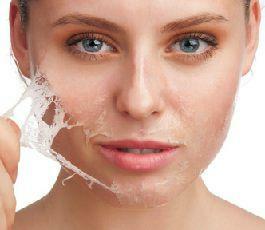 Peeling or flaking of the skin is another common side-effect reported by benzoyl peroxide users. 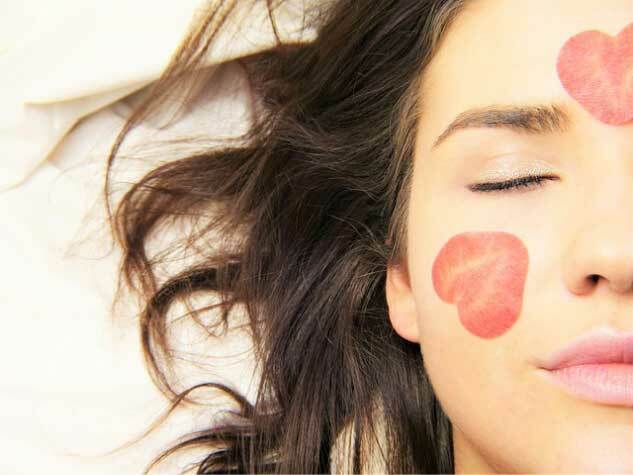 However, these reactions reportedly get minimized over time as your skin gets used to the medication applied. 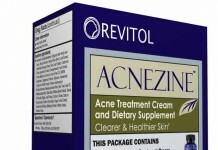 It’s tempting to use acne medication like benzoyl peroxide several times a day to get results faster. However, if you start gently and gradually increase the frequency and concentration of benzoyl peroxide on your skin, you can minimize the chances of these side-effects to a good extend. Another bothering, and worrying for most, side effect of benzoyl peroxide is that it can make your skin red right after the application. Anyone can get horrified to see their face in the mirror turned into a shade of ripe tomato, but you shouldn’t get too concerned. This redness usually fades in a few minutes to an hour; it can last longer, though. Generally, if your skin is usually irritated, you should start off with mild concentration and use it at most twice a day. 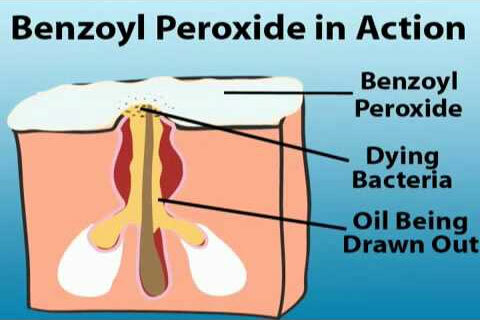 This is another major concern for the users of benzoyl peroxide. Burning, stinging or itching sensations can occur right after applying the medication. However, as long as it’s mild, there’s not much to worry about. Benzoyl peroxide is excellent at fighting acne causing bacteria. Salicylic acid is proven effective at opening clogged skin pores. Since each of these ingredients is fighting a different stage of acne, they can be used in conjunction for an effective acne treatment. Some experts don’t recommend going this way (especially when you have sensitive skin), but this approach generally proves to be effective. 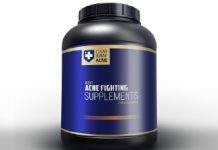 Can be effective for moderate to severe forms of acne. 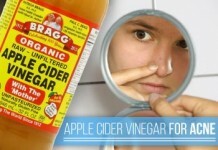 Reduces the size of skin pores. Derived from a natural compound willow bark, which is good at soothing and calming the skin. Contains excellent exfoliating properties, which helps shedding dead skin cells, and improving the skin tone overall. Salicylic acid based treatments take a while to work. It generally takes a few weeks to see positive results. However, results can vary. Excess use of salicylic acid is associated with side-effects (discussed in detail above). 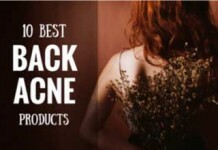 Best solution for mild acne conditions such as blackheads and whiteheads. Works faster than salicylic acid, within days! Has an added benefit of preventing anti-biotic resistance. Dryness, redness, and itching is most common with benzoyl peroxide use. Can bleach any fabric upon contact, extremely bothering in a lot of cases. In rare cases, it can cause post-inflammatory hyperpigmentation, also known as dark spots. 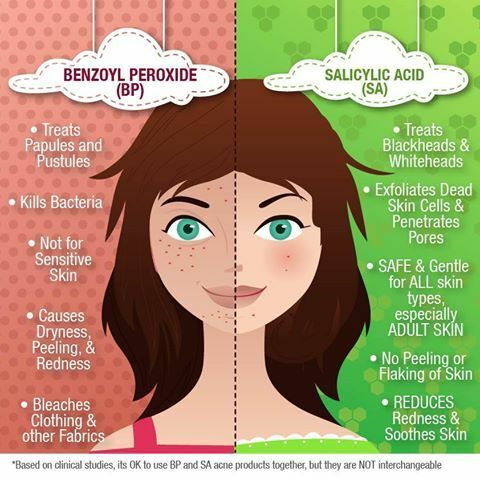 I hope this salicylic acid vs benzoyl peroxide rundown has cleared a lot of your doubts and concerns. 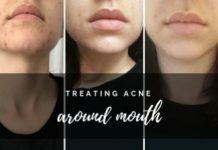 You know what their primary functions are, how exactly they fight acne, what side-effects they can bring (and how to avoid them). If you have more questions, or want to add your thoughts in the discussion, please share your comment below!